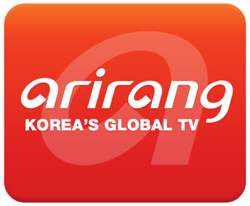 Korea’s English-language television channel Arirang TV, will begin nationwide service in Russia, launching on Russia’s largest IPTV operator Rostelecom and two cable operators, from July 2013. Since launching in Russia through a Moscow cable TV service operator in 2000, Arirang TV has gradually increased its service area across the country. "We have made steady efforts to enter the Russian market in spite of difficulties such as the weak influence of hallyu [Korean Wave] in the country and much regulation on foreign channels," the company said, referring to the Asia-wide popularity of Korean TV dramas, films and pop music. ArirangTV began subtitling in Russian on March, 2008 and acquired the official license for broadcasting in 2011. In 2013, ArirangTV has begun to service age ratings in every programme to protect children, following the Russian regulation.